One of the things we talk about in our blogs is how injury victims may be entitled to compensation for “pain and suffering.” But what does that mean, in the context of a lawsuit? Exactly how much pain must a person be in, and how much suffering must he or she do, before it is compensable? There is no clear-cut answer to how much a person’s pain and suffering is worth, because every case is different. However, if you end up in chronic pain, or your loved one dies, or your family’s overall ability to maintain a home is affected, then you may be entitled to this type of compensation. Medical bills include surgeries, doctor visits, physical therapy, other types of therapy, and medications. It can also include things like putting in a ramp for a wheelchair-bound victim, or the costs associated with prosthetics, or any other medical devices you may need. Non-economic loss includes the things that can’t be quantified. Injury victims suffer physical pain and suffer emotionally. Non-economic loss can include the depression and anxiety of living with a scar or a disfigurement. It can include a loss of consortium claim on behalf of a spouse whose wife or husband is critically injured, and unable to provide companionship. For physical pain, accident victims usually see their family doctor and specialists such as orthopedists and physical therapists. Physical pain includes the daily aches, pains, and hurts of living with an injury. It includes the inability to use certain body parts, either temporarily or permanently. Examples can include paralysis, inability to have participate in everyday activities, difficulty going to the bathroom, and any changes in the victim’s ability to function. For the emotional pain, victims may treat with a psychologist or a psychiatrist. Anyone who is hurt in accident worries about when they will get healthy and whether they return to normal. They live with fear, anger, anxiety, and depression. Many have difficulty sleeping. Often, they can’t enjoy life’s pleasures. Amputation victims, for example, may not be able to hold their own children, or dance with their children at their weddings. These are the types of unquantifiable harms and injuries that affect people emotionally, mentally and psychologically, even though the physical pain may be over. If an accident victim has a scar or has been disfigured, they worry about how others will treat them. Victims who need a wheelchair or need to be homebound often have difficulty coping with these limitations. Some victims may even suffer post-traumatic stress disorder (PTSD). Victims may also be fearful of engaging in the same activity that caused the accident. For example, drivers are often nervous about getting behind a wheel again. Burn injury victims may be unable to find work, especially if the scarring is visible at all times, such as on the neck or face. There is no precise formula for calculating pain and suffering. To some extent, everyone copes with pain in different ways. An experienced Tennessee personal injury lawyer works with victims, doctors, family, friends, coworkers, and witnesses to detail and testify about every type of physical and emotional pain. We help victims document the pain through pictures of the bruises and changes in appearance. We obtain medical reports which explain the types of physical and emotional issues that victims will experience during their recovery and even after they have reached their best medical state. If a jury decides pain and suffering, their decision is usually based on how much they would want if they had to go through a similar experience. Often, victims are able to obtain a higher pain and suffering award if their case is heard before a jury. 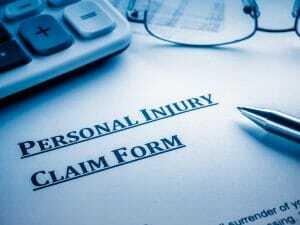 Sometimes, however, the advantage of settling a personal injury claim is to avoid the risks with a jury. A jury may not find the defendant liable. The jury may choose to give a low personal injury award for arbitrary reasons. An experienced Tennessee personal injury lawyer understands when settlement offers are fair and reasonable and when it makes more sense to try a case before a jury. The Sevierville personal injury lawyers at Delius & McKenzie, PLLC have settled numerous cases and tried many cases before juries. We’ve obtained many six and seven-figure results. For help now, call us at (865) 428-8780 or fill out our contact form to schedule a free consultation. We proudly serve clients in Sevierville, Seymour, Gatlinburg, and Pigeon Forge.